Wergi – World Champion once again! 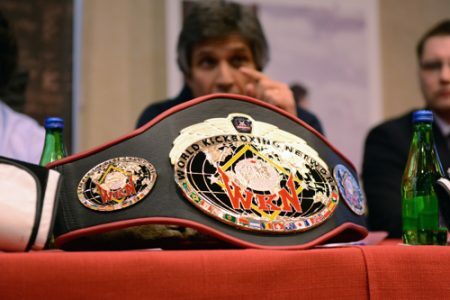 During the Zakopane gala, Paweł Jędrzejczyk for the fourth time won the belt of the Professional World Champion Word Kickboxing Network. Bigger’s Better is a boxing tournament held cyclically in many countries, during which representatives of various martial arts disciplines compete with each other on the principles of professional boxing. These gala are broadcast on the Eurosport channel, and the prize pool is 300,000 Euro. The Polish edition took place on a Friday evening at the Mercure Kasprowy hotel in Zakopane. As part of the “superfight” match, Paweł Jędrzejczyk faced Dimitar Iliev from Bulgaria. At the stake of the duel played at a distance of five two-minute rounds, was the belt of the Professional World Champion WKN. Paweł was better at boxing techniques, which effectively shattered the attacks of a very dangerous and uncomfortable rival. The referees were unanimous indicating the victory of the popular Wergi and taking away the championship title, which he defended for the fourth time.